Youth at St Pauls is part of the Collective Youth Initiative which includes Mill Hill East Church and Urban Saints. Youth leader Georgia overseas a programme of weekly events. 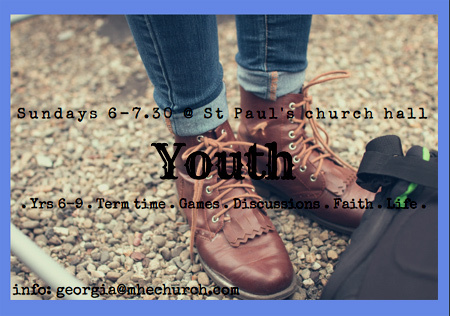 St Paul's Church hosts Youth @ St Paul's on a Sunday evening, 6.00 - 7.30 in the church hall. The charge is ₤2.